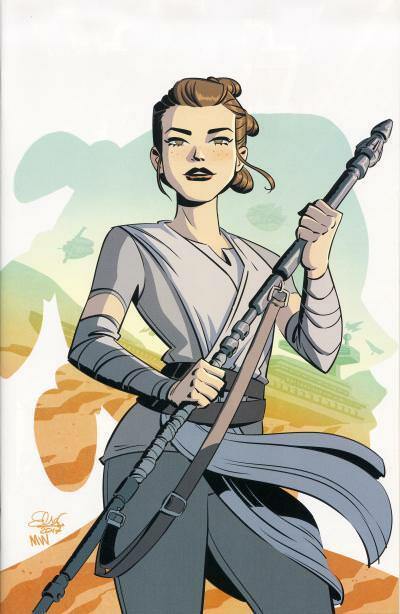 The second Forces of Destiny one-shot in January stars Rey. It expands on the scene in The Force Awakens when Rey rescues BB-8 from Teedo as well as the season 1, episode 1 Forces of Destiny short Sands of Jakku. 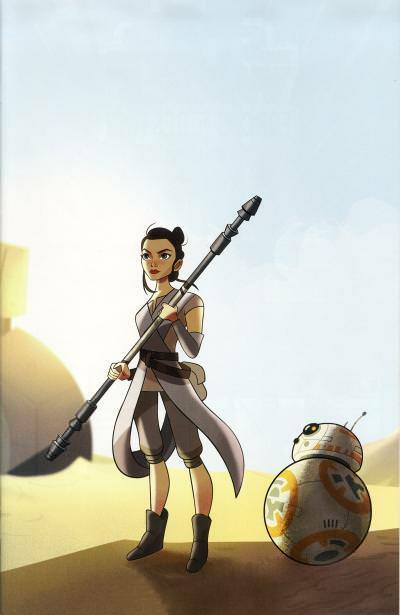 In the tale, Rey and BB-8 have a few more adventures together before she delivers him to Niima Outpost. While the story does not reveal more about Rey's character than the movie, it does emphasize Rey's strengths are her optimism and empathy. One of the more poignant scenes is when her and BB-8 spend the night in the home she made out of the fallen AT-AT and she awakes screaming from a nightmare about being abandoned on Jakku. One can only imagine this is a nightmare that Rey is very familiar with, yet she remains hopeful that those who left her will eventually return. 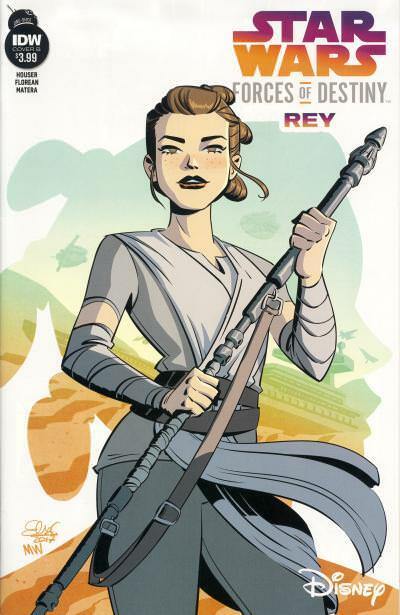 Rey is a hero because, despite the adversity in her life, she possess the propensity to do good. The retailer incentive is a wrap-around animated variant based on the season 1, episode 1 short that is also included in the story. This variant was initially released in a 1:10 ratio. 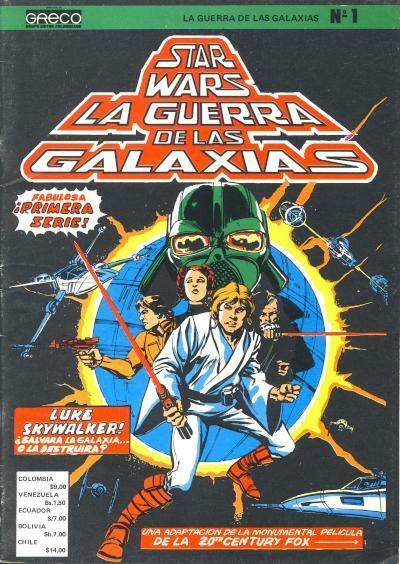 Star Wars Galaxy Magazine published several Star Wars serials that were turned into one-shots from Dark Horse. 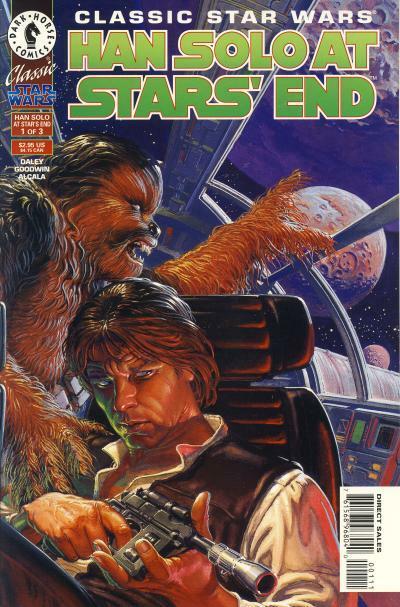 The first one-shot was Tales From Mos Eisley reprinting the comic pages found in Star Wars Galaxy Magazine #2 - 4. 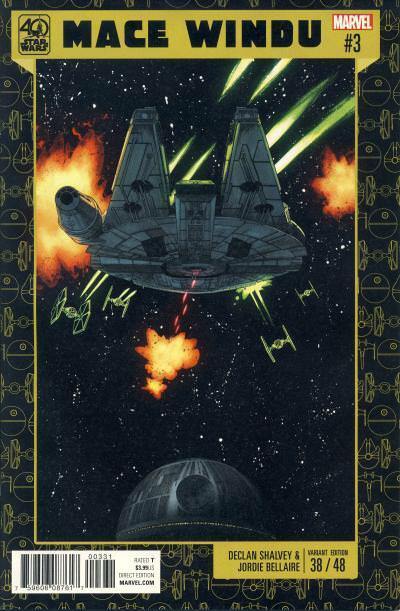 Boba Fett: Twin Engines of Destruction was published in issues #5 - 8 and reprinted in a one-shot in January 1997. 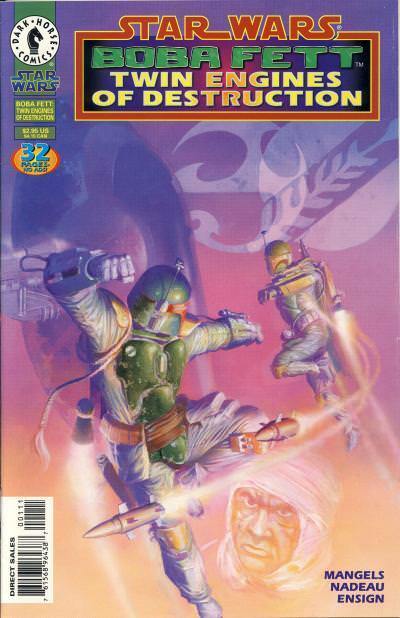 The two characters on the cover are Boba Fett and Jodo Kast. Jodo Kast was created by West End Games for their Star Wars Roleplaying Game and wears Mandalorian Armor painted to look like Boba Fett's. Believing Fett to be dead, Kast impersonates Boba Fett to collect higher bounties. In Twin Engines of Destruction, the bounty hunter Dengar contacts Boba Fett after crossing paths with Kast when they both hunt the same target. 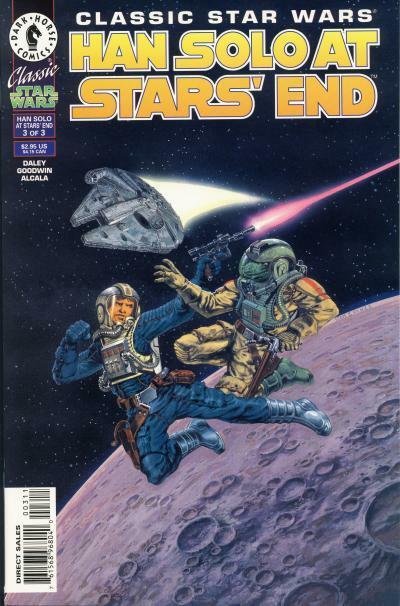 Fett sets a trap for Kast on Nal Hutta where Kast is killed. 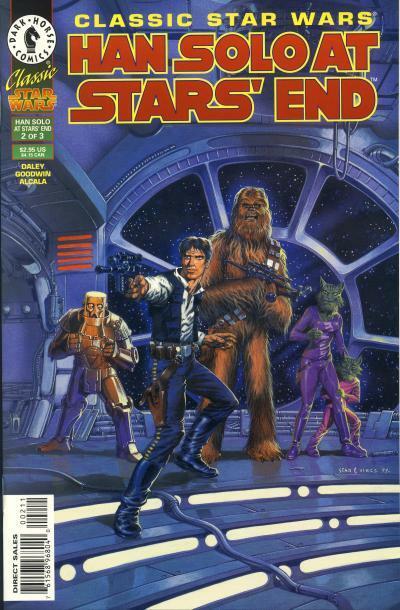 Despite featuring Han Solo, Shadeshine! 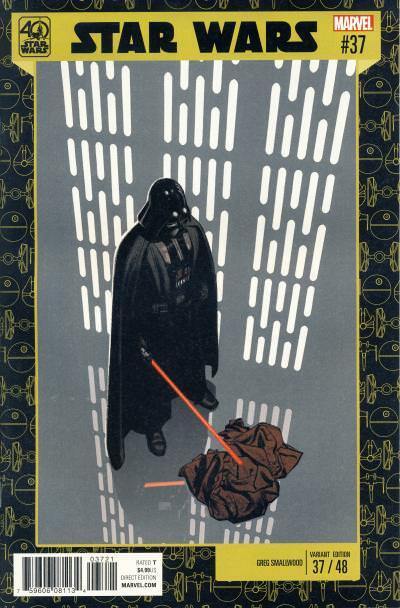 told in Star Wars Annual #2 is not an interesting tale. 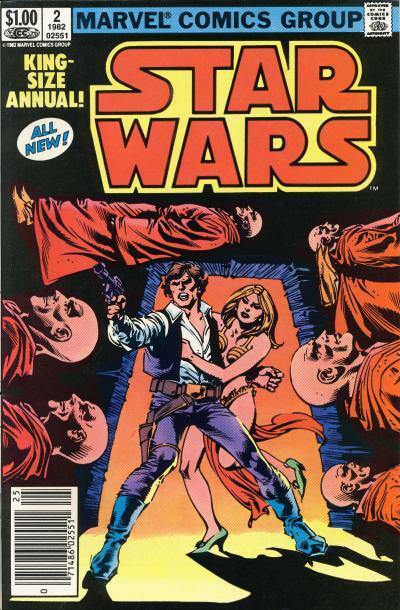 It is the last Star Wars story drawn by Carmine Infantino, whose artwork was seen on the title the previous year in Star Wars #53 and 54. 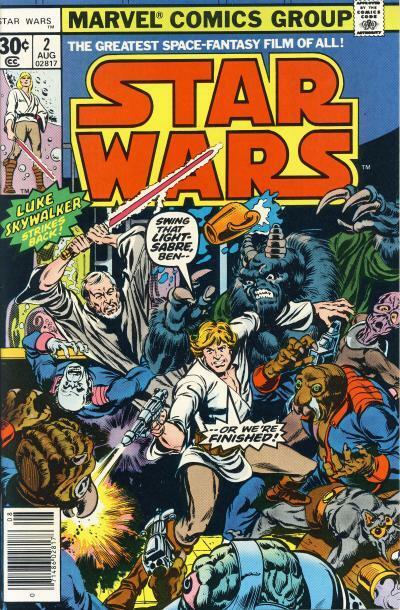 By the time Star Wars Annual #2 was published, Walter Simonson had finished up his run as the main artist that began in issue #49 and Tom Palmer was filling in just prior to Ron Frenz taking over the art chores. 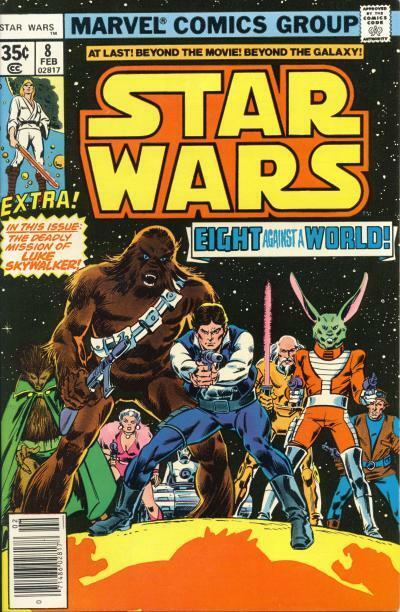 After a year of more realistic artwork on the title, a return to the Infantino style should have been nostalgic. 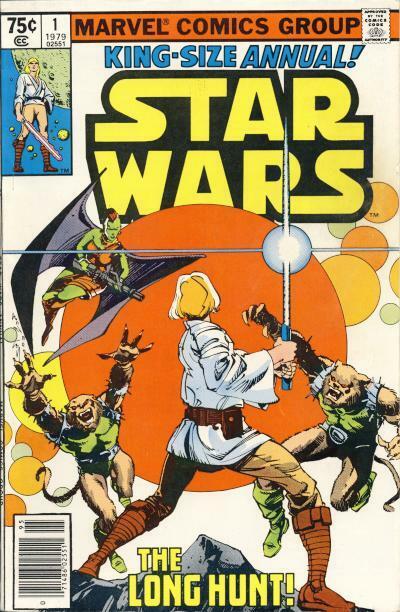 Infantino is the main artist on the title from issue #11 to #48, but a new era began when Simonson took over the title. 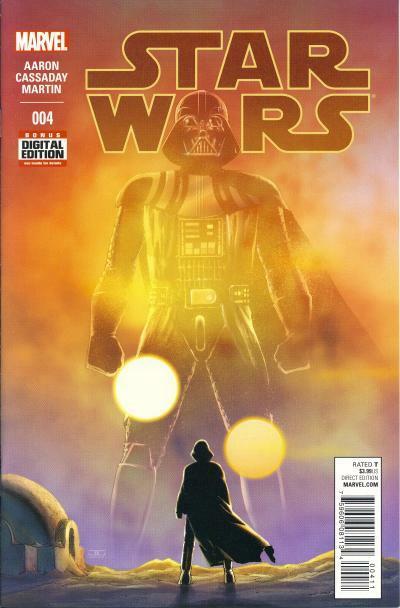 Infantino's artwork is not the problem with Annual #2, it is the story. 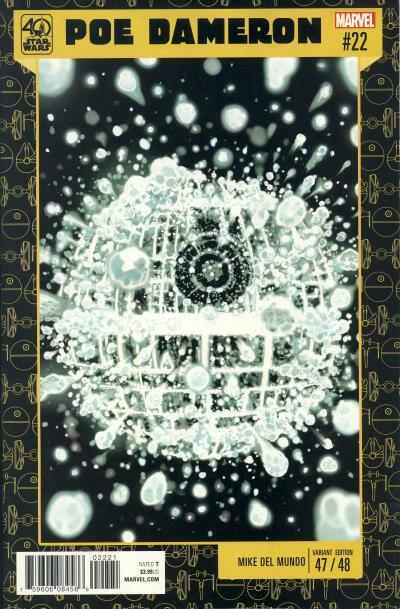 The Han tale is framed by a sequence where Luke Skywalker, Lando Calrissian, and C-3PO are evading Stormtroopers on Ventooine. 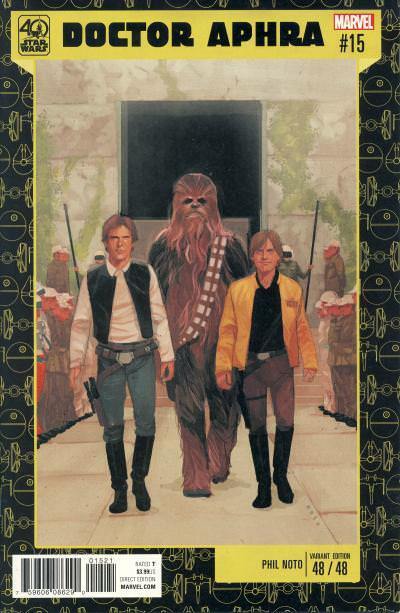 To escape, the trio enter a temple ruin to find a statue of Han Solo. The caretaker of the shrine tells them a tale about Han's visit to the planet and his role in ending the rule of leaders known as Satabs. A Satab is exposed to a stone called the shadeshine which gives them superhuman abilities. The ramifications of using the abilities is a shortened lifespan, so after a year as ruler of the planet, the Satab is placed in suspended animation upon entering the Hall of Satabs. 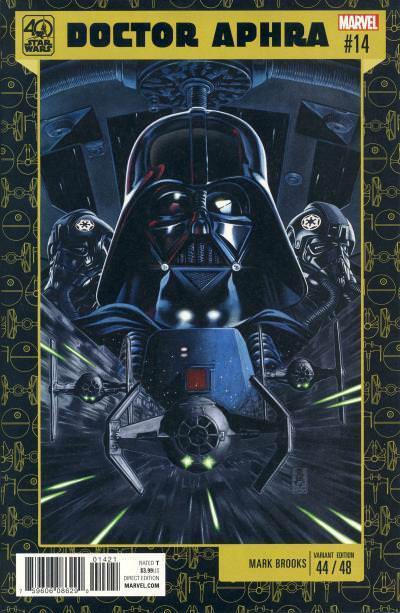 Luke uses the information relayed in the tale to lure the Stormtroopers into the room and our heroes leave the planet aboard the Millennium Falcon. 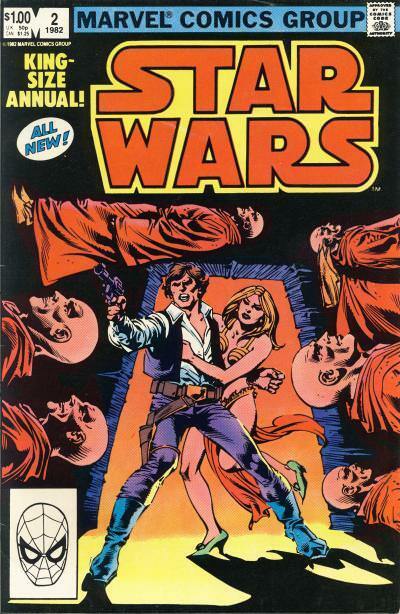 I love Carmine Infantino's artwork on the title, so it is a shame the story in his final outing is a disappointment. 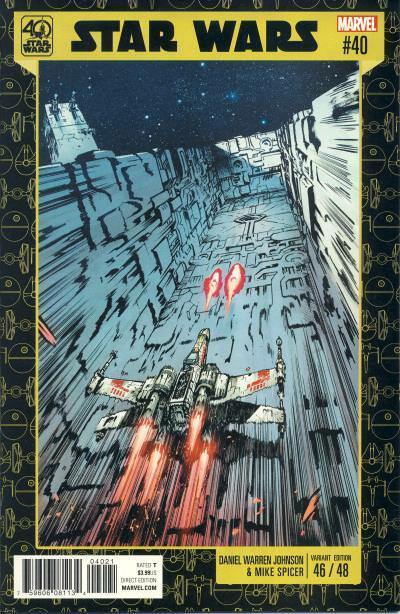 The cover shows Han and Chrysalla, another character instrumental in the downfall of the Satabs, in the doorway to the Hall of Satabs. 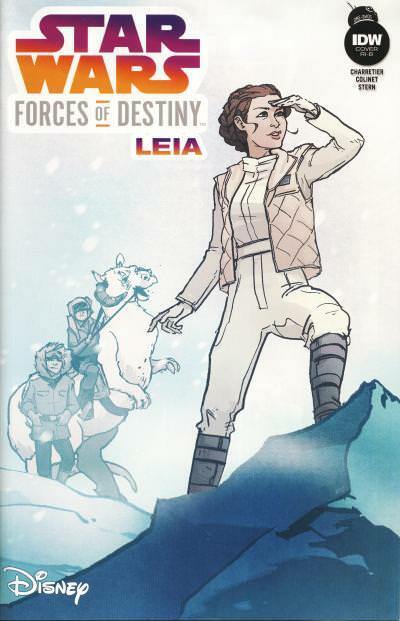 IDW published five one-shots based on the Forces of Destiny sub-brand in January. 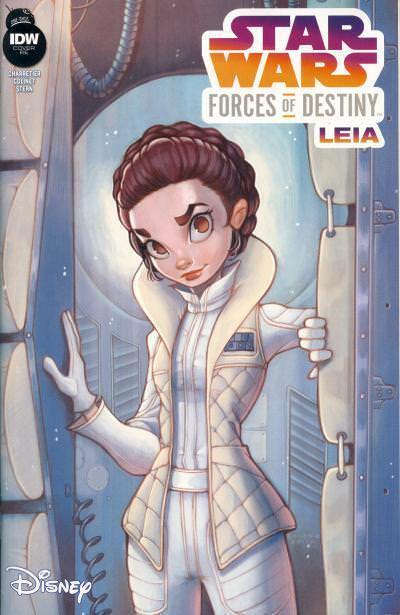 Each one-shot focused on different Star Wars heroines. 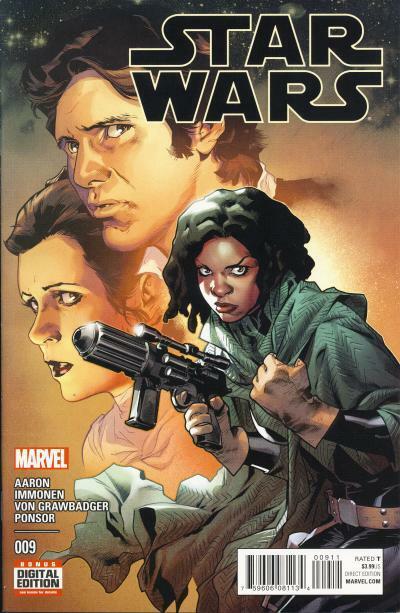 The first one-shot stars Princess Leia but also features Han Solo and Hera Syndulla on Hoth. 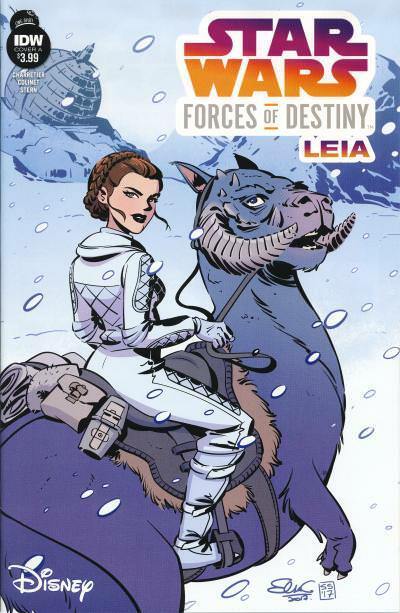 The inspirational story about not giving up is among the best stories published by IDW and shows the possibilities for both the Star Wars Adventures line as well as the Forces of Destiny sub-brand. 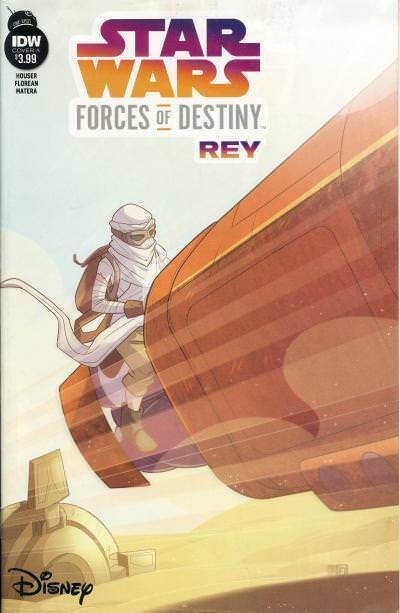 Each one-shot has a retailer incentive that contains a wraparound cover with artwork inspired by a Forces of Destiny animated short. 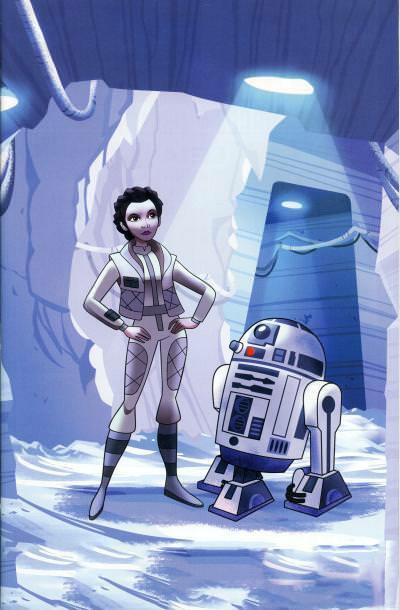 The Leia animated variant is based on season 1, episode 5 titled Beasts of Echo Base. These animated variants were initially released in a 1:10 ratio. 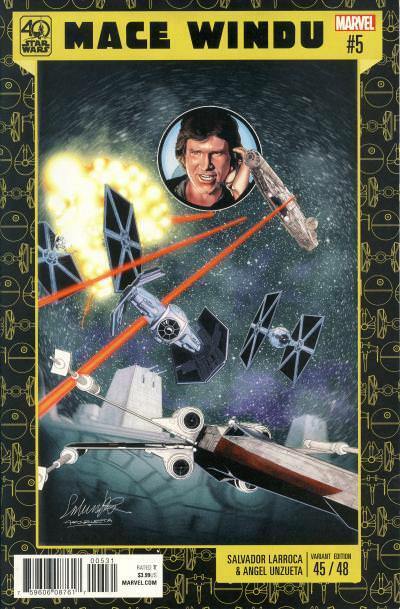 A second retailer incentive for Leia was initially released in a 1:20 ratio. 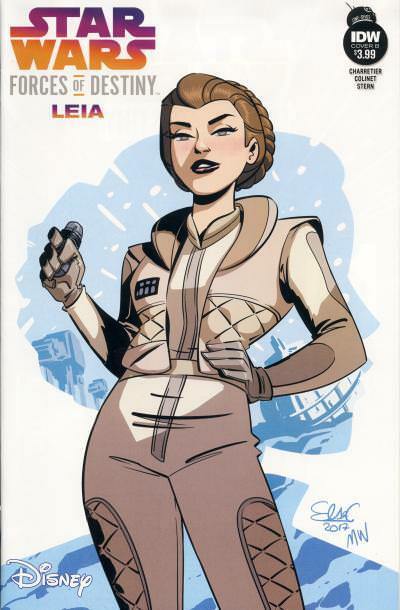 A Hall of Comics exclusive was also published for the Leia one-shot. It is limited to 500 copies. 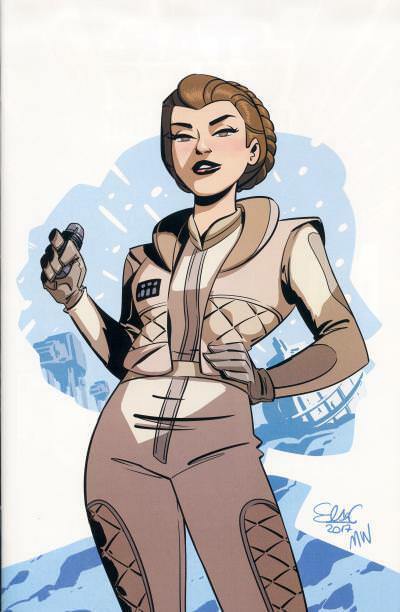 The Leia convention exclusive is the same artwork as the Elsa Charretier cover b artwork, except the front cover does not contain any text. There are five of these convention "virgin" exclusives, one for each one-shot. 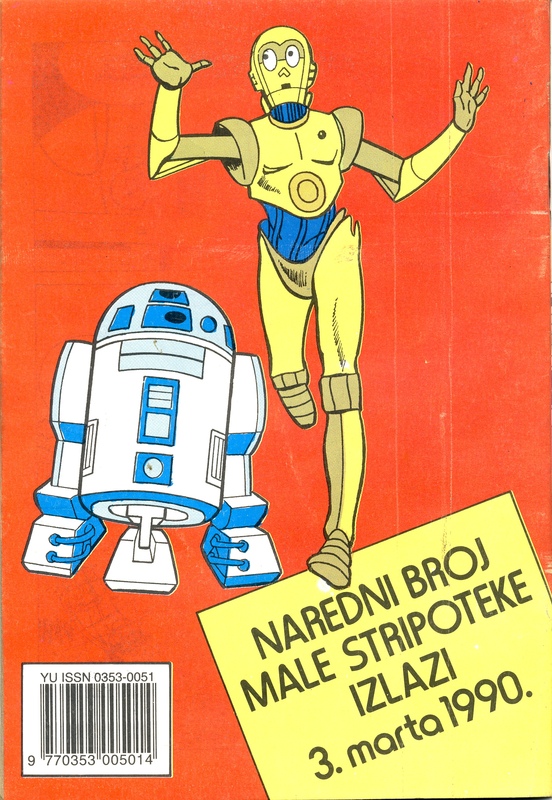 Marketplace published seven of the eight Marvel Droids issues for Yugoslavian readers in the title Mala Stripoteka . 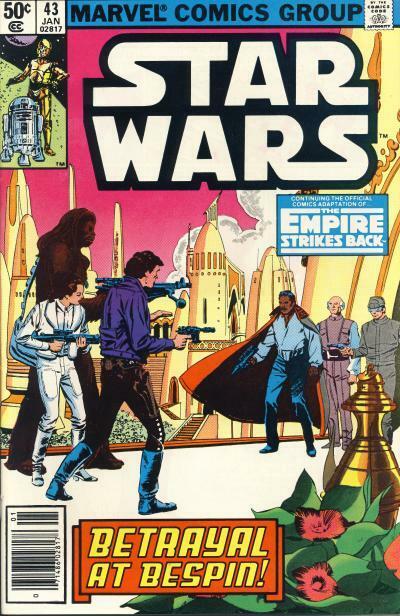 Each issues is 36 black and white pages and contains two strips. 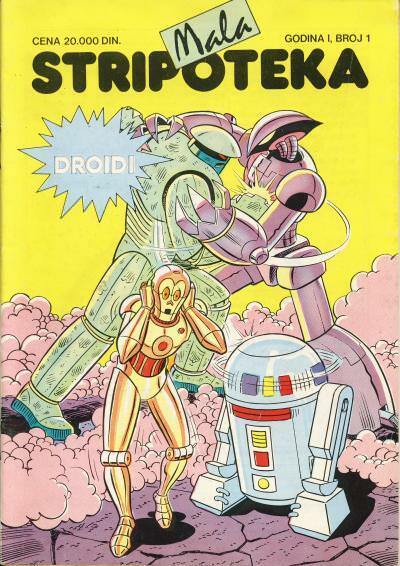 The main strip and subject of the cover is Droids and the backup strip is Marina. 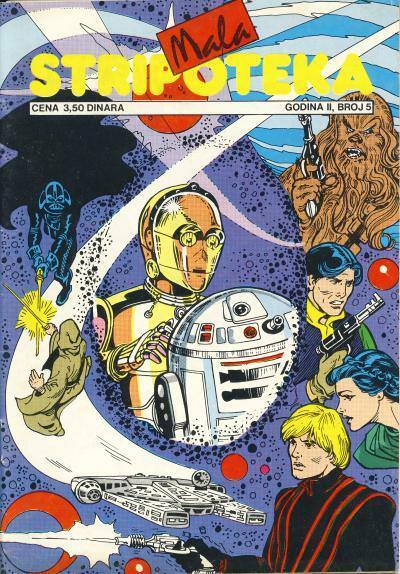 The Droids and Ewoks crossover from Droids #4 is not included in this title. 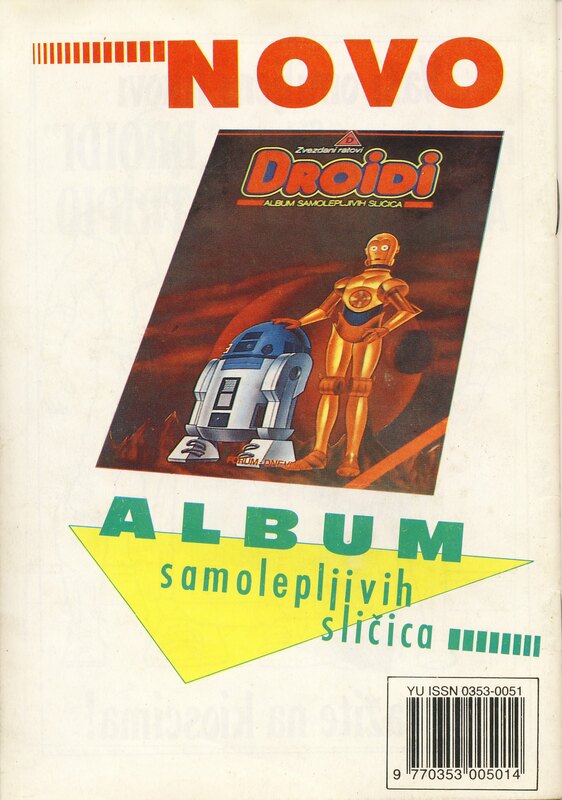 The back cover for the first issue contains an ad for the Droids sticker album. The back covers for issue #2 contains a message to the readers to have a happy new year. 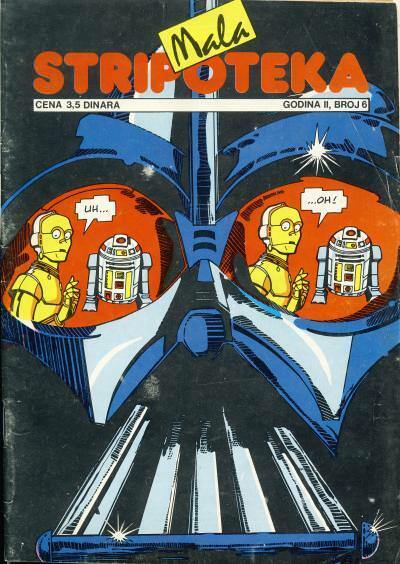 Issue #3 is the last issue to contain a Droids image on the back cover. 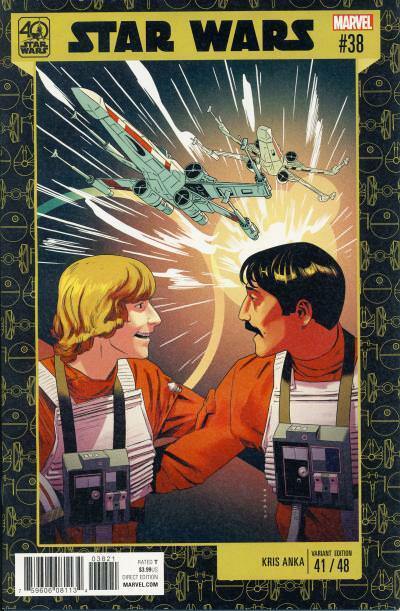 The ad is for the next issue of the title. The artwork on the covers are the same as the Marvel series except for issue #4. 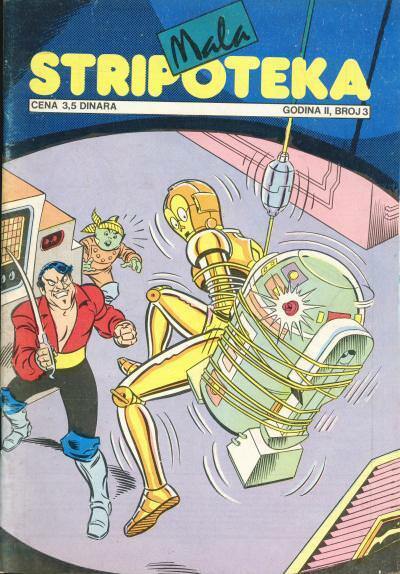 The artwork on Mala Stripoteka #4 has John Romita's signature, but I cannot find a reference in any of the issues. 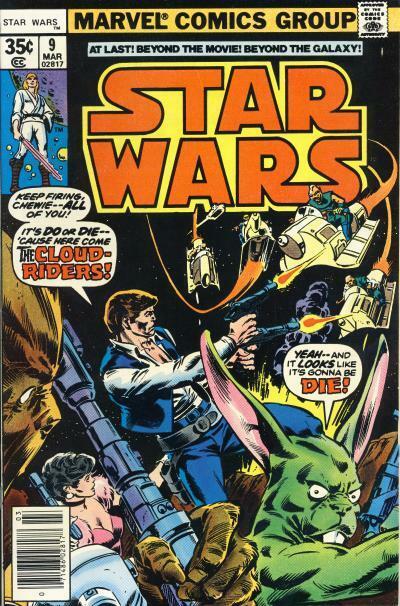 The character driving the landspeeder looks like the antagonist Kugg from Droids #1. 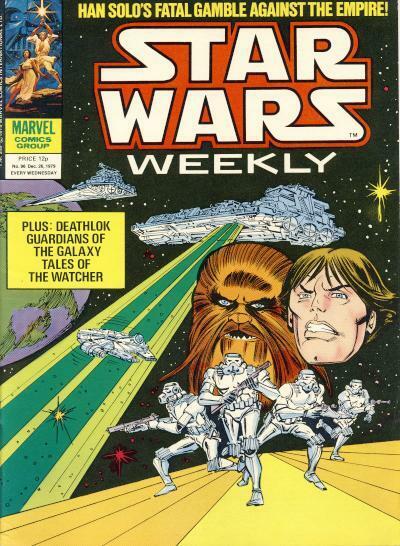 Kugg is green in that comic but on this cover he is brown. 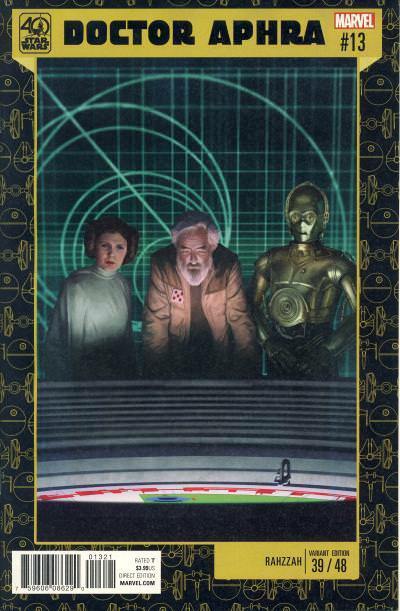 This is the only cover art in the series where R2-D2 is drawn with the correct blue highlights instead of the red and yellows shown on the other covers. 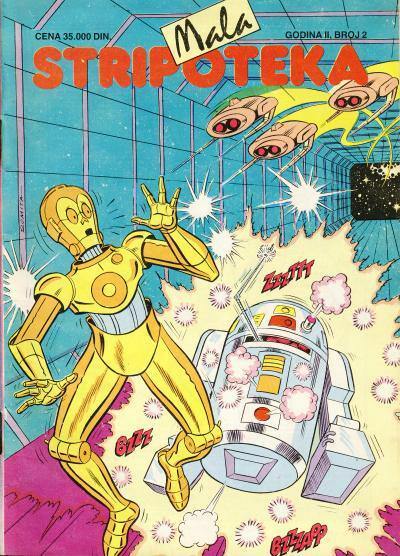 Issue #5 - 7 retells the story from Star Wars from the point of view of the Droids. 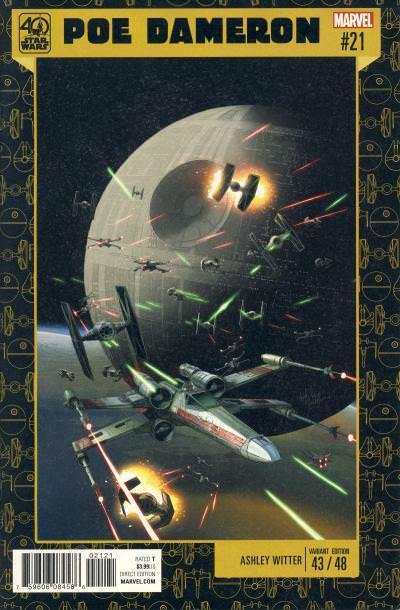 The final 12 Star Wars 40th anniversary covers were released in the last three months of 2017. 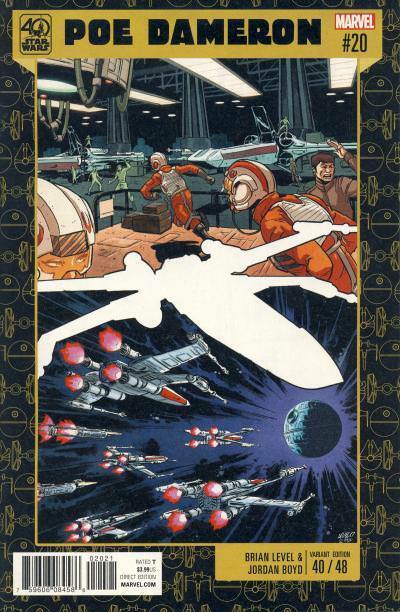 All of them are really nice and do a great job of capturing the lead up and final dogfight above the Death Star. 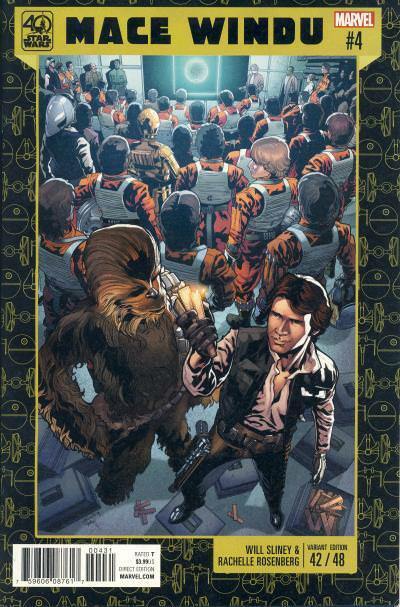 Standouts for me include Mace Windu - Jedi of the Republic #4 and Poe Dameron #22 because of their unique take on scenes from the movie. Marvel is currently publishing a 36 cover Galactic Icon variant set. I encourage Marvel to continue providing accessible covers like these two sets and quit releasing ratioed variants based on initial orders. Ewoks #4 contains a full length story divided into three chapters: Valley of Evil, The Deadly Game, and A Chase to the End! In the tale, Wicket and Teebo are heading home, but are captured in a valley by Lizard Warriors led by the exiled Ewok Graak. 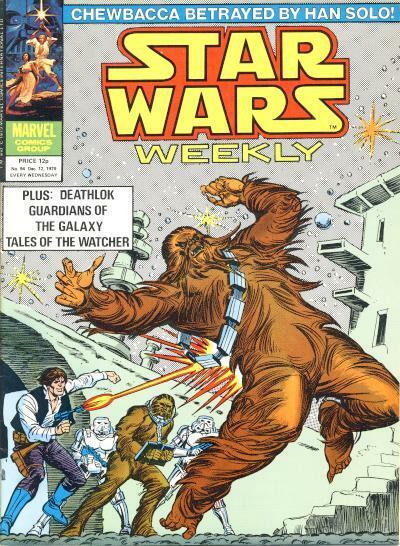 Graak tells the two Ewoks that if they are able to escape the valley while the Lizard Warriors hunt them, they can go free. They overcome several encounters with the Lizard Warriors including a barrage of spears as well as arrows before they reach a swamp at the end of the valley. They attempt to cross the swamp on a log but are attacked by an Endorian Swamp Beast which they evade by climbing a tree. Graak's second in command Joddar spots them and attempts to cross the swamp in pursuit, but he is attacked by the Swamp Beast. The Ewoks rescue Joddar who has a change of heart about them. Joddar lets the Ewoks escape the valley, but Graak surprises them just outside the valley. Just before Graak is about to drop a large rock on Wicket's head, the Lizard Warriors led by Joddar rescue the pair. Graak leaves the valley of the Lizard Warriors as Wicket and Teebo continue their trip home. 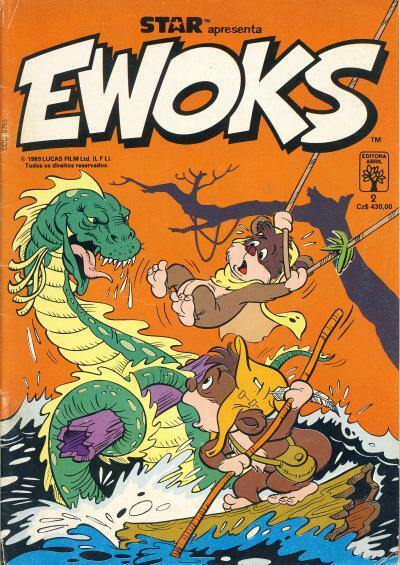 The cover for Ewoks #4 shows the Wicket and Teebo crossing the swamp on what they believe to be rocks but are actually the humps of the Swamp Beast. This never actually happens inside the story. 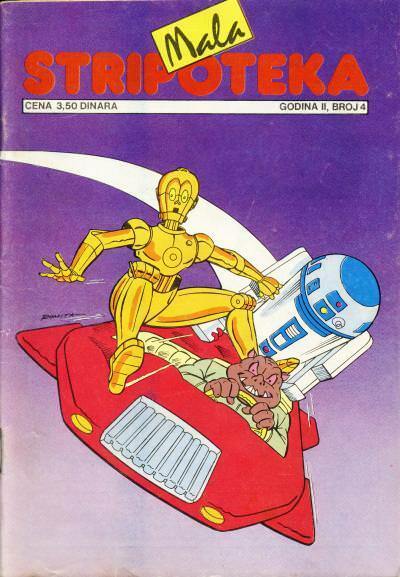 Brazil's Ewoks #2 published by Editora Abril contains the same story as the U.S. Ewoks #4. The cover more accurately reflects the events of the story. 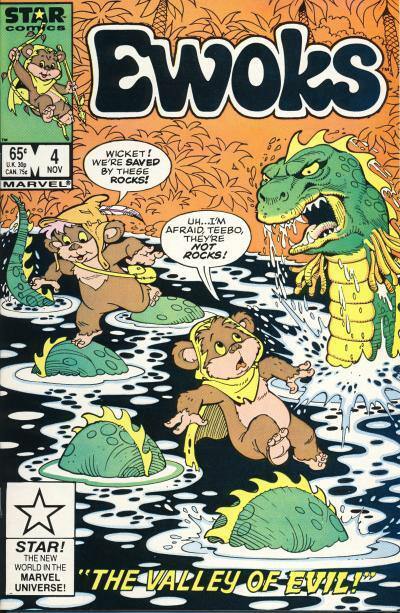 Wicket and Teebo are attempting to cross the swamp on a log when the Swamp Beast attacks. By climbing vines into the trees the Ewoks escape the creature. 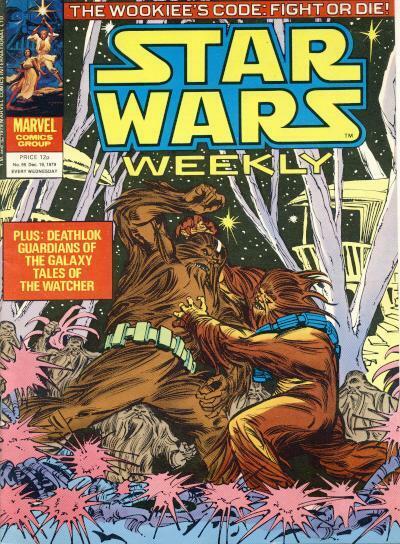 The Brazil cover does a better job of depicting the peril faced by the Ewoks. 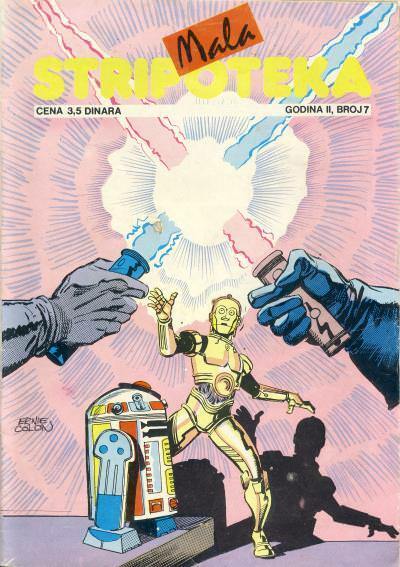 I also like that the Brazil cover relies on the action instead of dialogue to show the scene.